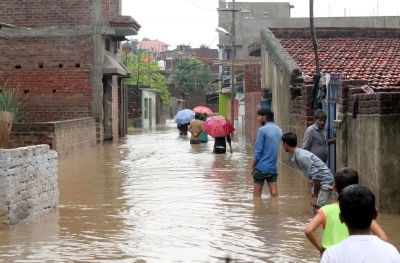 Ranchi, July 25 (IANS) Incessant rainfall since the last four days in Jharkhand has brought cheer to the faces of farmers as paddy sowing has gained momentum. Farmers in the state depend mainly on rainfall since the irrigation system covers only 15 per cent of the cultivable land. Due to shortfall in rain this year, paddy sowing was poor in the state — varying from zero to 57 per cent till last Friday. While no paddy sowing had taken place in Dhanbad, it was zero to nine per cent in 10 districts of the state. Ranchi, Gumla, Simdega had witnessed 22, 27, 22 per cent respectively. The six districts falling under Santhal Pargana like Dumka, Deoghar, Sahebganj, Pakur, Jamtra and Godda has witnessed better sowing from 31 to 57 per cent. In the remaining 18 districts, it was zero to 27 per cent. According to the Met department, there was shortgae of rainfall in Jharkhand this year but in the last four days, the state has received 50 mm to 110 mm of rainfall. Till last Friday, the state witnessed around 320 mm rainfall against the average of 400 mm, and till July 24, it had received 437 mm rainfall against 457 mm. “This year’s paddy sowing target was 1,770 thousand hectares of land and sowing took place in 477 hectares. The rainfall in the last four days due to the low pressure formed in the Bay of Bengal has given hope for improvement of paddy sowing. The reports we have received indicate that the sowing could witness a quantum jump,” an agriculture department official told IANS. According to the Met department, Jharkhand is likely to get more rainfall in the next two days to Wednesday. “We were depressed due to poor monsoon this year. The last four days have helped expedite the sowing. We are scared of a rainfall shortage in coming days as this is not monsoon rain. We are opting for limited sowing,” said Ganesh Munda a farmer of Tamar of Ranchi. Meanwhile, the continuous rainfall has hit normal life in the state. Seven small bridges and diversions have been washed away.